Eight year old Elsa, one of two daughters of the King and Queen of Arandelle, has the power to freeze anything. Soon, this power turns against her, when she inadvertently injures her younger sister, Anna. After healing her, the family enter recluse and hide away in their castle, with young Elsa locking herself away in her room for the remainder of her youth, whilst the King and Queen die in a sea storm. Years later, the town prepare for Elsa's coronation, but when Anna declares her planned engagement to a man she just met, Elsa loses control of her powers, and freezes the whole town, causing her to flee. Determined to restore summer to the town of Arandelle, Anna, amongst new friends Kristoff, Sven the Reindeer and Olaf the Snowman, heads off to bring her sister to peace. Adapted from adult novel "The Snow Queen", Frozen was immediately a controversial film, due to its incorporation of new, male characters, leading to harsh accusations of sexism. However, these complaints were made before the film's release, and thus before these people had seen this film. Let me begin by stating, if you held criticism and sexism accusations against Frozen before its release, please go and see it. You will be persuaded to revert your previous judgement, as the story here is smartly written and well plotted, and ultimately results in a sense of female empowerment, thus weakening possible interpretations of sexism. Simply put, Frozen is a good film. Almost everything about it is crisp, and it's lean running time goes even quicker than one might imagine. But, when analysed more deeply, there are plenty of faults to be found. Unfortunately, many of these faults come from comparisons to other recent Disney efforts, most commonly 2010's Tangled. However, all-in-all, Frozen is almost always an entertaining, well made family adventure for all to enjoy. The animation in this film is extraordinary. In fact, everything visual is ridiculously impressive here. The quick cuts and fast "camerawork" during the action sequences are incredibly produced, only being reinforced by the visually clear animation. Due to the nature of the film, Frozen is beautiful to look at from beginning to end. Scenes in which Elsa loses control of her power, sending ice hurtling in all directions are just breathtakingly stunning. It is, quite possibly, the best animation I have ever seen. It easily surpasses the works of Despicable Me 2 or Monsters University from earlier this year, if only with regards to the visuals. However, the comedy here is relatively patchy, unfortunately. Well, patchy is the wrong word. "Patchy" would imply that some jokes hit, and some miss. This is not the case. Almost all of the jokes hit with ease, the only problem being there isn't very many of them. Undeniably the film's funniest moments come from Olaf, but he is introduced far too late into the short, 93 minute running time. The relatively serious nature of the story means that none of the human characters have any time to be humorous, which forces the only comic moments to come from Olaf or Sven. However, unlike Tangled's horse Maximus, Sven the Reindeer doesn't really have a personality, leaving Olaf the only real comic saviour during his limited time on screen. But, when the jokes come, they are simply very, very funny. It's just a shame they don't come more often. One of Disney's trademarks with their animated productions is their songs. Here, it feels as if not as much effort has been placed into the music. Whilst all of the songs are great to sing along too, and fit the mood of the film effortlessly, almost all of them sound pretty much the same. Whilst Tangled had the fun-natured "When Will My Life Begin? ", the dark "Mother Knows Best", the guitar driven "I See The Light" and the hilarious "I've Got A Dream", Frozen's songs are all pretty much the same sound, the same speed and the same tune. By no means does this mean they are bad songs, they are brilliantly written, but they don't go anywhere. It almost feels as though Disney are losing the once mesmerising innovation they had when it comes to music. Hopefully with whatever film they release next, this will be restored. There are a lot of Tangled comparisons here. That is, ultimately, because they are very similar films. For me, Tangled is also a far superior film. It is funnier, its characters are richer, it boasts better songs and its more fun. However, in its own right, Frozen is also a good film, it just isn't the masterpiece I came to expect beforehand. The animation is breath-taking, but the comedy isn't anywhere near as strong as you'd expect from a mainstream Disney animation. It just doesn't feel finished. The story itself is very clever, and unlike anything Disney has attempted before, but this still feels like a work in production. The characters aren't fully defined, and the songs aren't quite there yet either. But, for the most part, Frozen is a fun, action packed adventure that anyone of any age can enjoy, and that is a feat that not many films nowadays manage to pull off. 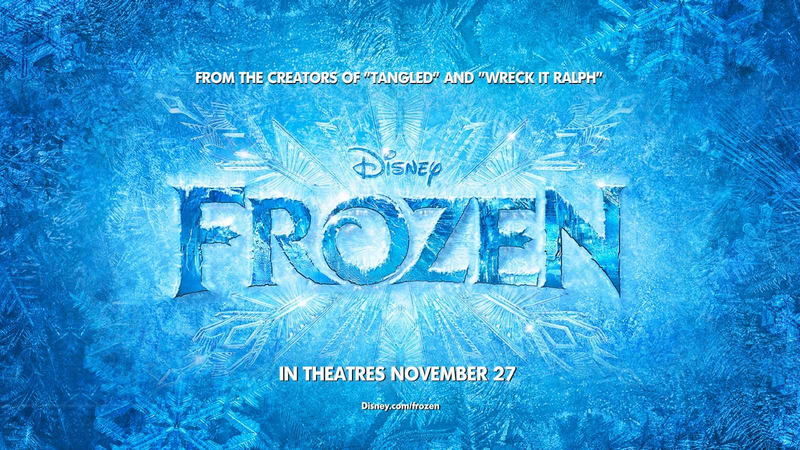 To Summarise: It lacks in character and music, but Frozen is nevertheless a funny, smart and beautifully animated addition to Disney's plethora of impressive animations.